I took a break from working on the Disneyland layout to go back and work on the ranch scenery some more. 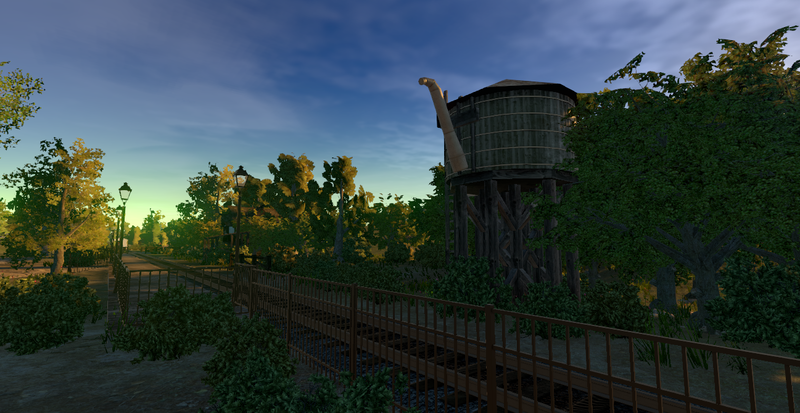 The ranch is more than just a test bed for the train, but it is also a test bed for scenery-related stuff. So I tend to work on the ranch stuff first before using it in the Disneyland layout. 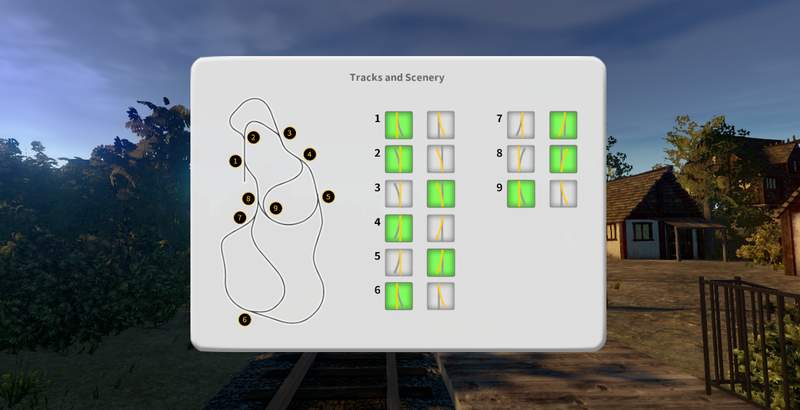 Recently, I expanded the ranch tracks to double the length, and it’s now possible to run the trains through reversing loops, etc. This was my “switching” practice for those siding/switch outs in the Disneyland layout. 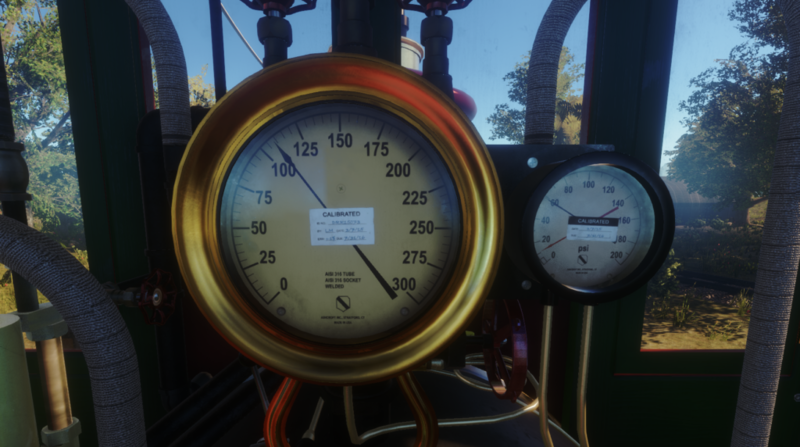 This is the control panel for the switches on the ranch tracks. It’s pretty simple to understand, and very much resembles a control panel for model railroads (or even real railroads!). And now for some scenery goodies! 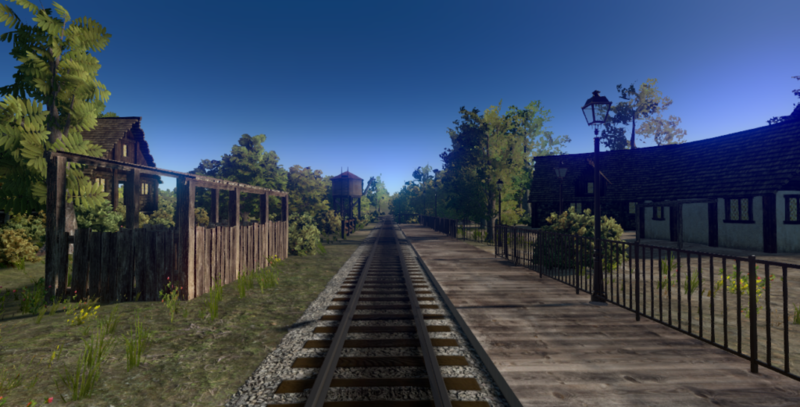 The tracks run through small villages that you’ll see on the sides. It’s a serene little scenery, with plenty of hills and trees, nestled in at the foothills. A real chance to stretch those 4-4-0 legs! And here’s a little miscellaneous teaser—you can select the gauge face style: normal or bolded; and you can select to display the calibration stickers, too!